Because presidential elections only happen once every four years, it’s always interesting to see how campaigning changes in reference to technologies and tactics. A lot of innovation happens over the course of four years and it’s very rare for candidates to follow the same formula as those who went before them. In the 2016 race for the White House, this principle is already holding true. If you turn back the clock 10 or 15 years, progressive media forms consisted of talk radio, the Internet and maybe a handful of podcasts. Presidential candidates that were able to leverage these marketing mediums were considered innovative pioneers. Fast forward to 2015 and those are the standard. It should be noted that Obama’s opposition in the 2008 campaign, John McCain, elected not to use social media. That will likely be the last time in history a presidential candidate doesn’t use social media or Internet marketing in pursuit of the White House. So, where does that leave us today? When looking at the major candidates in the 2016 race for the White House, how are social media and other innovative technologies being used to enhance marketing and connect with an increasingly tech-savvy cohort of voters? Here is a look at two of the candidates and how they are using the web to promote their campaign. 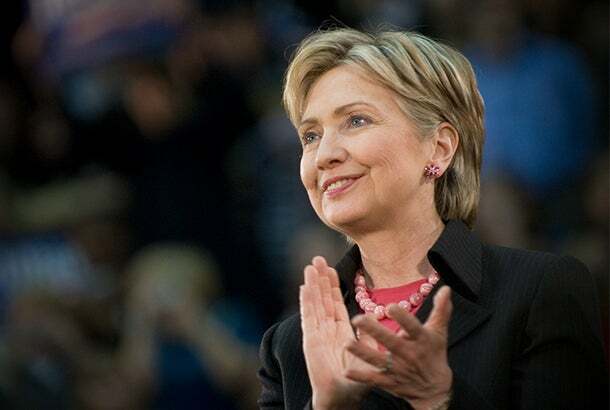 While she may be the oldest of the 2016 candidates, Hillary Clinton isn’t proving stubborn when it comes to connecting with the younger generation. In fact, she’s arguably utilizing new social-media sites more effectively than any of her peers. Clinton used both YouTube and Twitter as part of her official campaign announcement and kickoff and hasn’t been shy to make her presence known on Instagram, Snapchat and Facebook. But it’s her use of Periscope -- the newest mass-use social platform -- that shows Clinton’s true commitment to revolutionary marketing. In addition to holding her first major campaign rally on Roosevelt Island in New York, the presidential hopeful simultaneously live-streamed the event on Periscope. She had Olympian Michelle Kwan host the stream. And while her involvement with Periscope is certainly compelling, it was a simple comment on Facebook that’s had everyone talking. You may or may not have seen this picture that was posted by the “Humans of New York” Facebook account, but it quickly went viral. The polarizing picture of a homosexual child contemplating his future caused people on both sides of the political fence to speak out. However, it was Clinton’s comment to the picture that stole the show. It was a simple comment on a simple picture, but it shows just how powerful grassroots efforts on social media platforms can be. And while Clinton has emerged as the early leader when it comes to using new and innovative technologies to enhance campaign efforts, Republican hopeful, Ted Cruz, is having some early success, too. 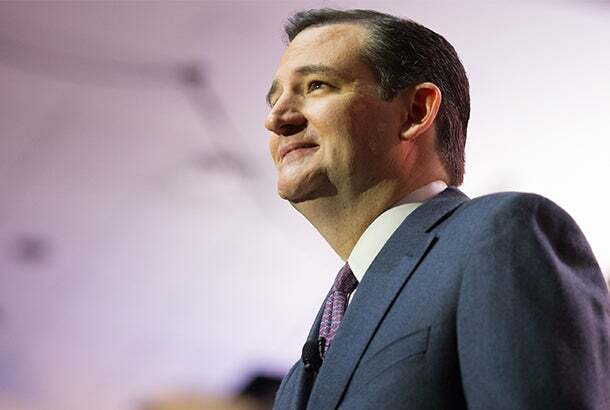 Cruz launched his campaign on March 23 by live streaming his first major speech. He used all of his platforms to drive traffic to the speech, focusing on the fact that users could hear what he had to say without interference from the media, major TV networks or talk radio hosts. “I definitely think engaging in-person and doing a public announcement in-person was a good follow-up to Twitter (for Cruz),” said Kasha Nielsen, chairwoman of the College Republican Federation of Virginia. The question will always be, "How much attention should be given to new technologies when running for a political office as important as president of the United States?" In other words, should it be a major priority, or is it something you do because everyone else is? If you look at Clinton, Cruz and most of the other major candidates in the running, it looks like most are making it a priority. It just goes to show that as technology changes, so do marketing techniques -- even on the political stage. Will we look back four years from now and call this the “Live Streaming Election?” Only time will tell, but one thing is for sure: Candidates from both parties believe the road to the oval office is paved with new technologies. Follow Entrepreneur on Twitter to get the latest stories.